The Green Workplace: Meet the Bloggers! Are you dying for your opportunity to meet some of The Green Workplace's famous names? Greenette, Bring Your Green Hat, and I, will all be presenting Wednesday, October 29 at NeoCon East in Baltimore, MD. Greenette will be presenting with Kevin Kelly from GSA about furnishings, and Bring Your Green Hat and I will be talking tech later in the day. Wednesday, October 29 • 9–10 a.m.
How can organizations create workplaces that support the workforce of the future while meeting the growing number of environmental mandates and guidelines? 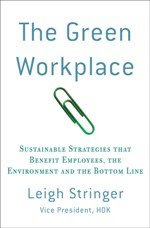 Gain specific strategies for creating lean and green workplace environments that minimize the use of economic and environmental resources. Case studies of public and private companies will be shared to demonstrate best workplace practices for the future. Wednesday, October 29 • 10:30–11:30 a.m.
Technology offers an opportunity for companies to meet the triple bottom line: people, profit and planet. Discover how technology can help build a more effective workplace with the added benefits of saving money, time and natural resources. Discussion will include solutions that enable mobility, communication, collaboration and knowledge management. I can't go but I'll be sending you all "GREEN VIBES".